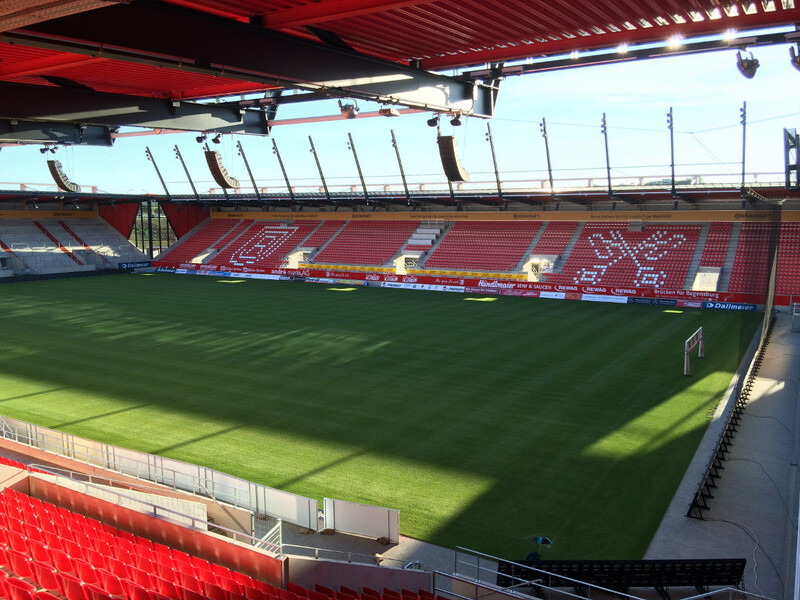 The Continental Arena got built to provide Jahn Regensburg with a new modern home. It replaced the old Jahnstadion. 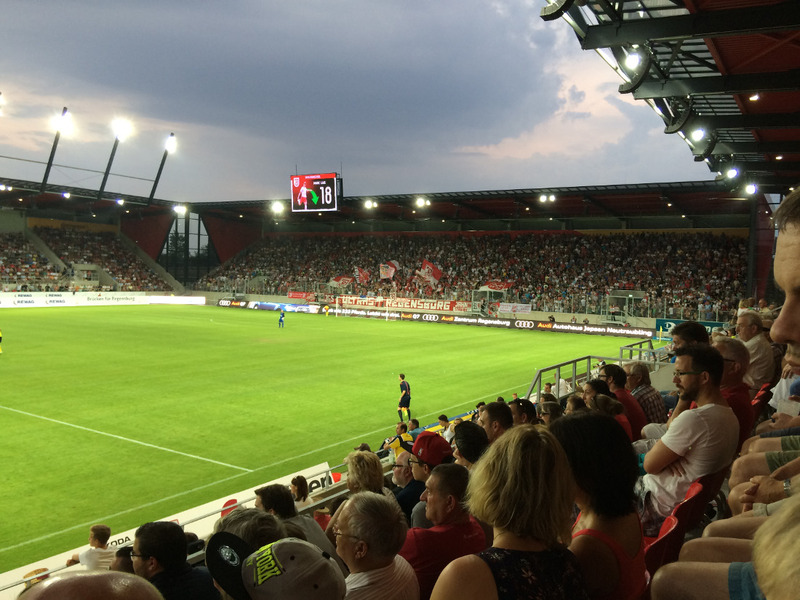 The stadium officially opened on 18 July 2015, though a first match, a test match between Jahn and a team of regional players, had already been played 11 days earlier. The Continental Arena came at a cost of 52.7 million euro. 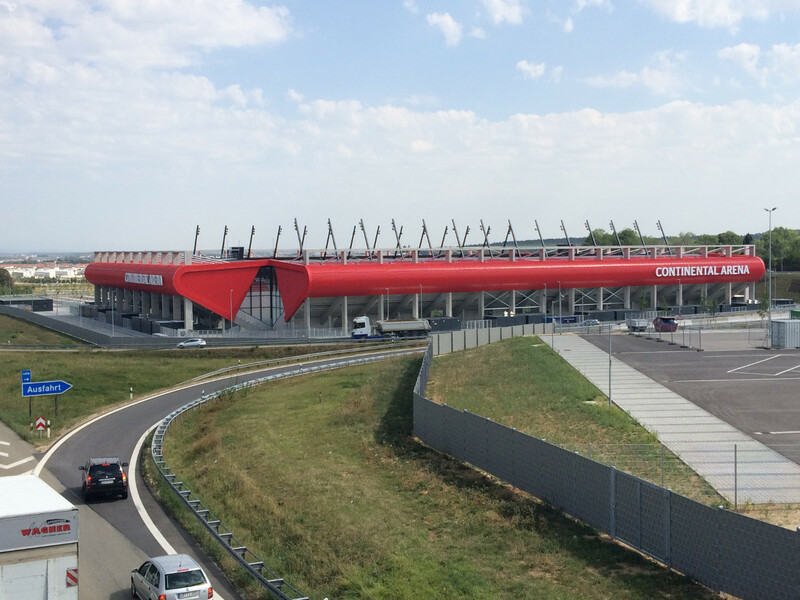 It was named Continental Arena following a naming right sponsorship deal with tyre manufacturer Continental. The Continental Arena is located on the southern edge of the city of Regensburg at roughly 3 kilometres from Regensburg’s main railway station and a kilometre more from the historic centre. The stadium lies right next to the A3 motorway and is thus easily reached by car. Take exit 100a-Regensburg-Universität. The stadium can about just be walked to from the main railway station. The walk takes a little over 30 minutes. Alternatively, the stadium can be reached with bus 3, 20, or 21. Take bus 3 to Graß, bus 20 to Luckenpaint, or bus 21 to Alteglofsheim/Afhausen. All buses stop right at the Continental Arena. Bus 20 and 21 depart from the main railway station while bus 3 can be caught from the historic centre (Dachauplatz) as well. Bus 3 is the most frequent, the journey takes about 12 minutes. On matchdays, there are also shuttle buses that run from the railway station straight to the stadium. 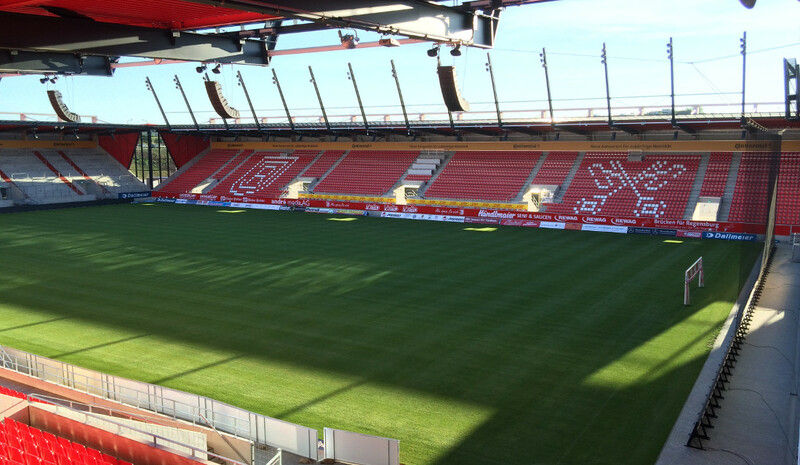 Tickets for Jahn Regensburg matches can be bought online, at the Fanshop at the Continental Arena, or at one of the other sales outlets, which include the Galeria Kaufhof department store at Neupfarrplatz 8 in the historic centre. If still available, tickets are also sold at the ticket booths of the stadium on the day of the match. Tickets cost either €28.00 or €34.00 for a seat at one of the sides or €12.00 for a standing place behind the goal. Tickets are €4.00 (standing €1.00) more expensive for a number of high-profile games. Tickets are also €2.00 more expensive if bought on the day. 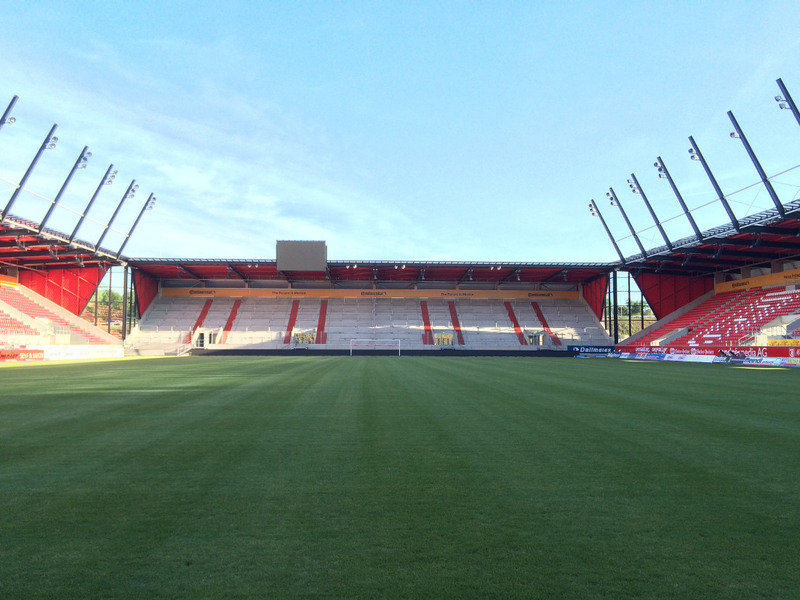 Ssv-jahn.de – Official website of SSV Jahn Regensburg. Regensburg.de – Regensburg tourist information.